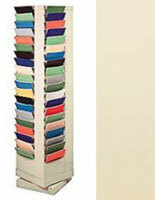 Tan Color for Welcoming Fixture in Sales Area. 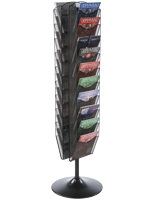 Steel Structure will Last for Years Even in Retail Settings. 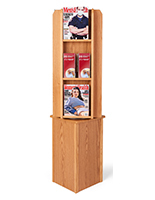 Compact Unit will Display Many Options in Small Amount of Space. 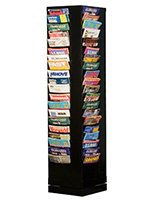 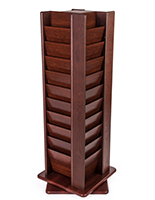 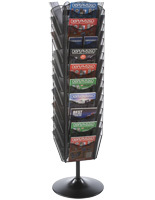 This 80 pocket revolving magazine stand is the ideal literature display for any public location. 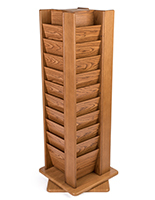 Designed in all-stand and features a tan finish to blend with almost any decor. 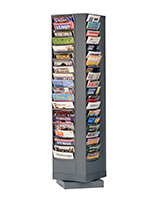 Each of the magazine stand's pockets measure close to 9" wide to easily hold all your business periodicals.